In 2017, we were busier than ever, working with organizations throughout Hopewell Valley on arts events, exhibits, concerts, and hands-on activities. Scroll through the list below to our highlights in 2017. Arts at the Pennington Farmers Market: Teaming up to bring art and music to the Pennington Farmers Market every Saturday on the lawn of Rosedale Mills from 9-1. 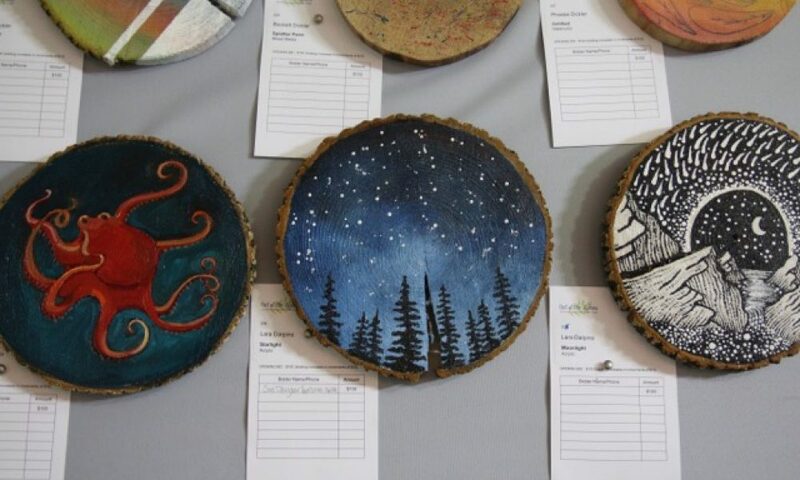 Arts at the Pennington Farmers Market: Teaming up to bring art and music to the Pennington Farmers Market, this week’s feature artist was Susanne Pitak Davis. July 22, 2017.